SWEEPING changes to the Cashless Debit Card will be announced today, along with plans to extend the income management trial. Families and Social Services Minister Paul Fletcher will also reveal the cost to taxpayers for each person on the card in Bundaberg and Hervey Bay, where the latest of four trials began in January, is under $1000 a year. Participants will now also start receiving interest on funds held on the card. The technology behind the card will also be improved technology to automatically decline transactions, online or in store, if the purchase includes restricted items such as alcohol or gambling products. Mr Fletcher said the government was also committing funding for an additional 12 months across the four trial sites until June 30, 2021. Bundaberg and Hervey Bay, along with Ceduna, Goldfields and East Kimberley, will all receive funding for support services to continue. From January next year, about 22,500 on another form of income management, the BasicsCard, will be moved to the Cashless Debit Card. The government claims research shows the card has been a success, but opponents disagree and even the Australian National Audit Office found problems with the government's research. Federal Member for Hinkler Keith Pitt said he welcomed the commitment to extend the trial in Bundy and the Bay. Mr Pitt said anyone who needed help activating their card or with questions could call the hotline 1800 252 604 or visit shopfronts in Hervey Bay, Bundaberg and Childers, which opens today. 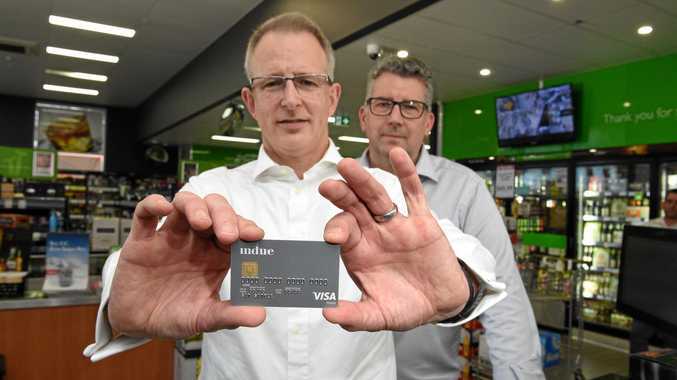 "The Cashless Debit Card is about ensuring that welfare payments are spent on the essentials and limiting the amount of cash which could be spent on alcohol, gambling or illicit substances. I hope we see some real change in terms of welfare dependency in this region. The Childers shopfront mentioned will be at the Isis Cultural Centre, 49 Churchill St, Childers. It will be open 9am-4pm from Monday-Friday from March 25 until April 19, and then 9am-3pm every Friday from April 22. In Hinkler, the card is being issued to people under 35 on Newstart, Youth Allowance and parenting payments. It places 80 per cent of their welfare payments on to a Visa debit card that cannot be used to buy alcohol or gambling products or withdraw cash. The extension and expansion of the Cashless Debit Card will be subject to the passage of legislation through parliament.